the portrait blouse in a gauzy italian wool, a really gorgeous fabric i wasn’t sure what to do with at first. it’s got that hippy thing going on but sewn up in a blouse with a little structure and volume it turned out very pretty. 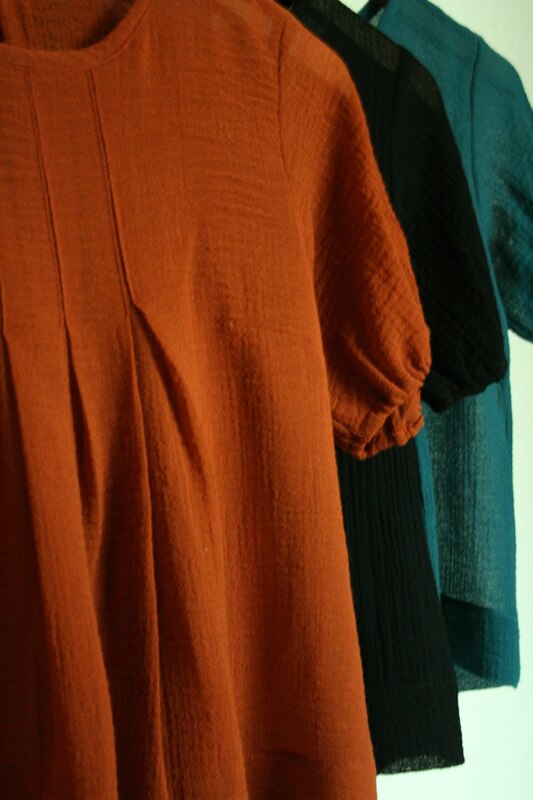 these are some of the first things i’ve sewn up for my fall 2010 collection to show the shops next month. really putting this together at the last second (as usual).